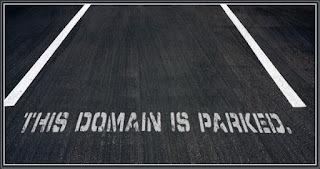 Should You Keep A Parked Domain Before Website Launch? Are you thinking about launching a new website, or maybe a service or an online store? If yes, then chances are that you might want to take the initial phase of setting up a domain and website a bit more seriously than you'd ordinarily do. Ever opened a webpage, only to find that it is no where to be found on the internet? That's because there's nothing on that domain at present. Worse still is the parked domain page, advertising the hosting company, which makes you think you've finally landed onto an existing page, only to realize that it is no good either. So what sort impression do you want to give to people who know of your newly launched domain's existence, and would like to know more? Is parking the domain a sensible idea? A lot of individuals and companies buy their domains, and park them for whenever they are ready to launch their website. This happens more often if the domain has been sold or transferred. And sometimes, it hints at the inconsistency of that domain. But more important is the question of how Google treats such domains? Here, take a look at the video below. As discussed, users don't like pages where domains have been parked. Such pages often have some sort of advertisement with links to different sources saying click here, and click there etc. Such things often discourage a user, and as a result, a lot of them complain about a website. So Google now tries its best to exclude such pages from search results. It has special detectors for this purpose, that detect parked pages and empty website templates. And such pages are excluded from search results. Does that mean Google places a penalty of some sort? No. But it does mean that when your website launches, it might take Google quite some time to realize that your domain is no longer parked. So even after launch, you will not be listed in search results immediately. To make sure that your launch goes as smoothly as possible, it's best to leave out a simple page with a paragraph or two of text, that will make your website look human, and will differentiate it from a parked domain. You could create an attractive 'Website under construction' page along with some custom text. And put this page up at least a week or so before launch, if not earlier. This will ensure that upon launch, your website is indexed much faster. Otherwise, it'll be like a u-turn for your domain - going from parked to a website instantly. And during the time Google takes to realize your website exists, your efforts might well be lost. And this could negatively impact your website (could).